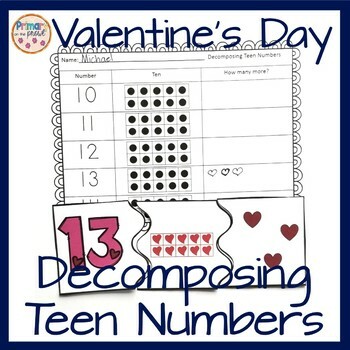 Decomposing teen numbers is one of the skills Kindergarten students should master! It involves knowing what amount needs to be added to the number 10 to make that number. 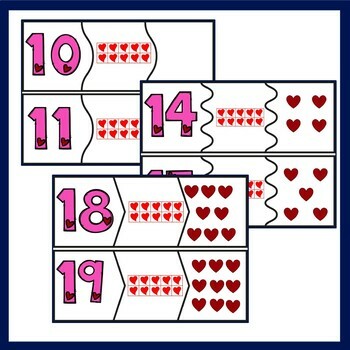 These teen number puzzle cards are a fun way to practice. 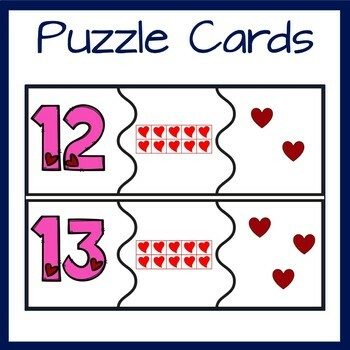 When I taught Kindergarten, I used this activity in as a math center the week of Valentine's Day. I printed a few copies of the resource so everyone could do the puzzles on their own or with a partner. 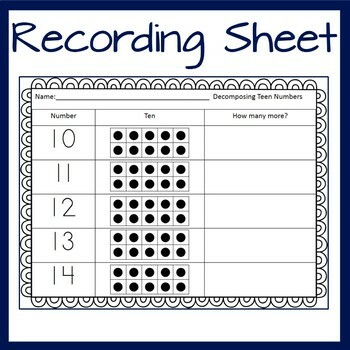 Students put the puzzle together and recorded the answers.